In today’s blog, we will help you get yourself acquainted with best free mockup websites. 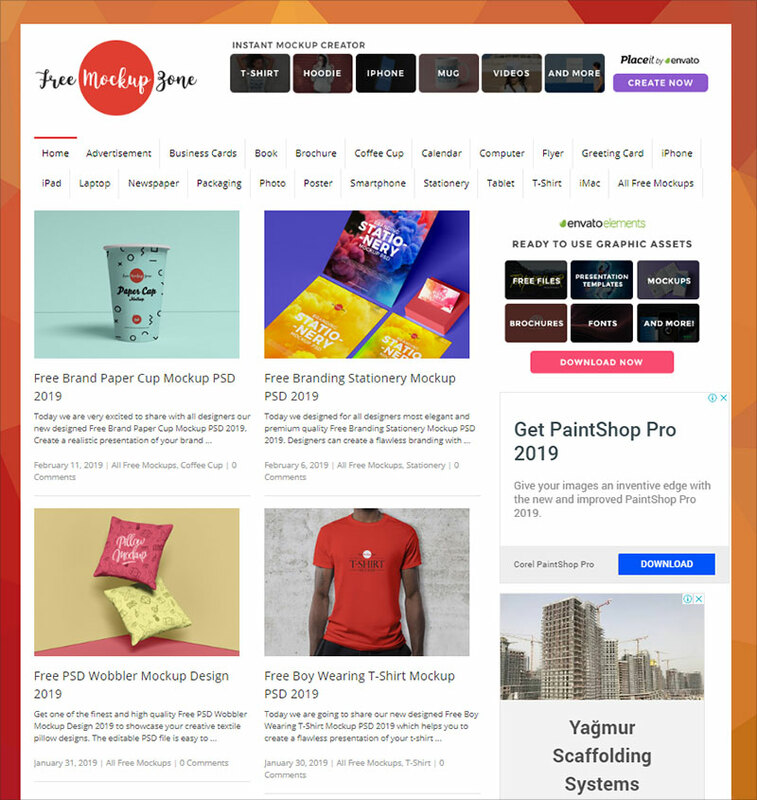 By visiting on either of the websites, you will find highest quality mockup files to make your presentations beautiful in the year 2019. So, read this blog, use the websites of your choice and create amazing mockups for your personal and commercial projects. For everyone who is related to graphic designing knows the importance and value of a mockup. You can easily showcase your entire design and thought process to your colleagues or clients through your mockup. Creating a mockup also gives a detailed idea of how the final product / project will look like and how it will function. This practice allows the decision makers to share their feedback if any changes required in colors, shapes, typography etc. On all these websites we are sharing we found out that every mockup is created with attention to detail and it is very important for designer to choose the best quality mockups without wasting time by searching online. So we prefer to packaging designers to download mockup in your freebie library and have them saved in your power bank. To fulfill this need of graphic designers, there are websites especially designed so that mockups can be downloaded freely and showcase the designs effortlessly. If you are new to mockups and still need clarity on how to create a mockup or the steps you want to know for converting your design into a mockup, you can watch video of how to make mockups with smart object . 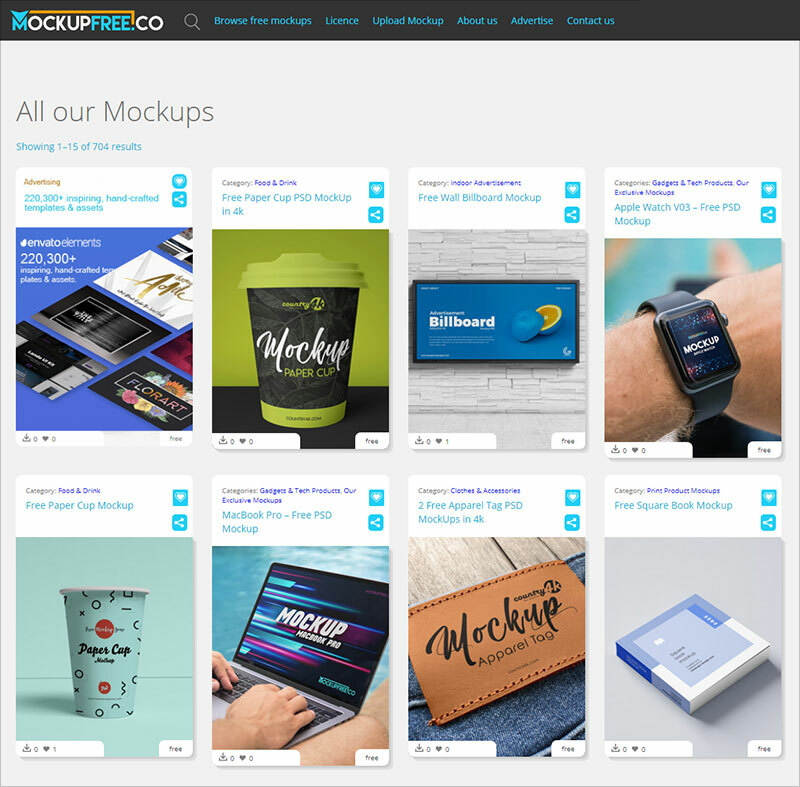 The great part of free mockup websites is that you will find mockups for everything like; devices, product mockups, packaging mockups, branding mockups, outdoor /indoor mockups, app mockup, print mockups and the list goes on and on. So next time a new project comes up, don’t deliver a ‘flat design’, jpg or a pdf. 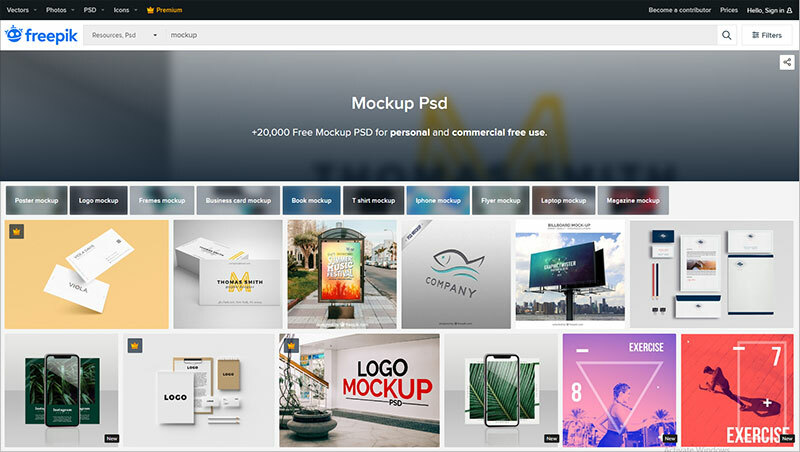 In fact, create a super awesome mockup by download from any one of the websites and impress your boss and clients. You can thank us later! 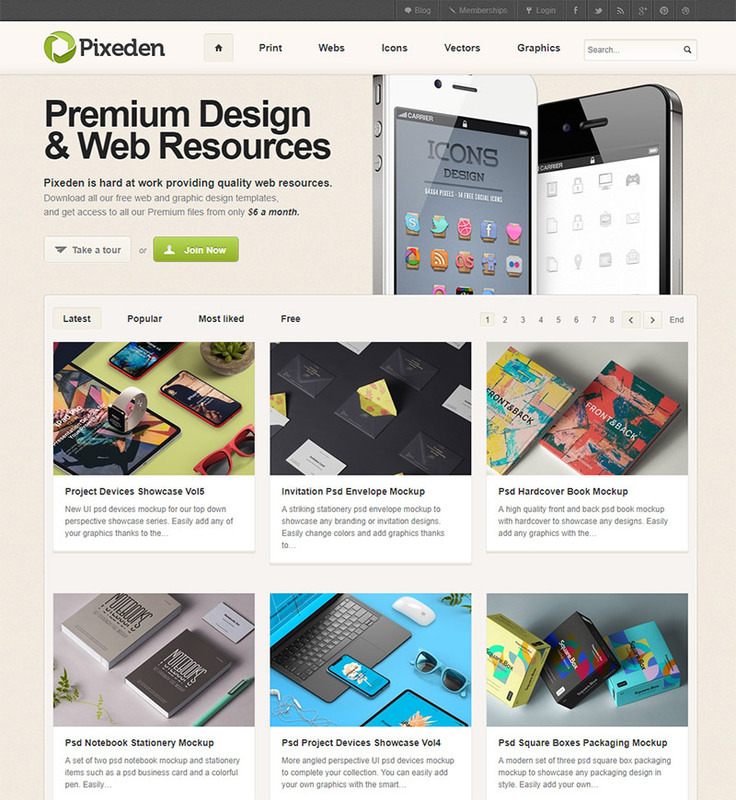 Pixeden has always been our favourite website when it comes to free or premium graphic resources. They provide print and web graphics on their website. The main reason we choose them as our number 1 spot that there resources are extremely attention to detail and mockup psd files are premium quality either free or premium. They offer premium plan starts from $6 a month. Relatively new website running by Andrew Gdula a very talented 3D artist. Andrew create all the mockups in 3D software then prepare them in photoshop and they are super realistic. 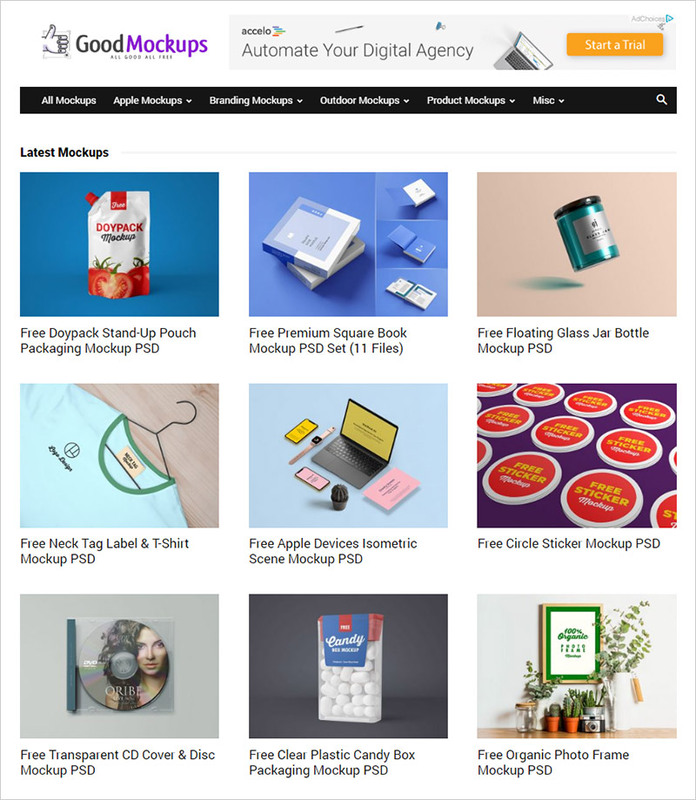 The best part about mockups-design website that all mockups are completely free for commercial use and Andrew is designing new files regularly so a must bookmark and highly recommend for designers. Good mockups have really good collection of free mockup files and all of them are handpicked. They claim to check all psd files and share only the good ones. As there are tons of free websites creating free mockups everyday selecting and choosing them for your project can take a lot of time. So save your time by searching the website and it will take you to the download link. It is recommended for designers working in a busy company. Anthony Boyd another 3D artist that has become famous for his 3D mockups. All mockups are rendered in C4D software and then created in photoshop. Anthony has been sharing mockups of Apple devices and branding for the last few months. 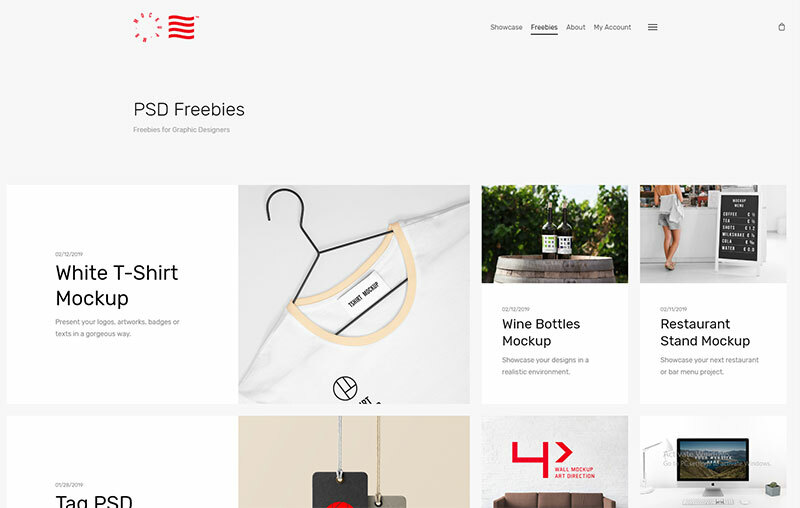 Another high quality freebie website focused on psd and vector graphics. They have extensive range of branding mockups and website is updated regularly. You can register to receive a lot more free mockups then a regular visitor. 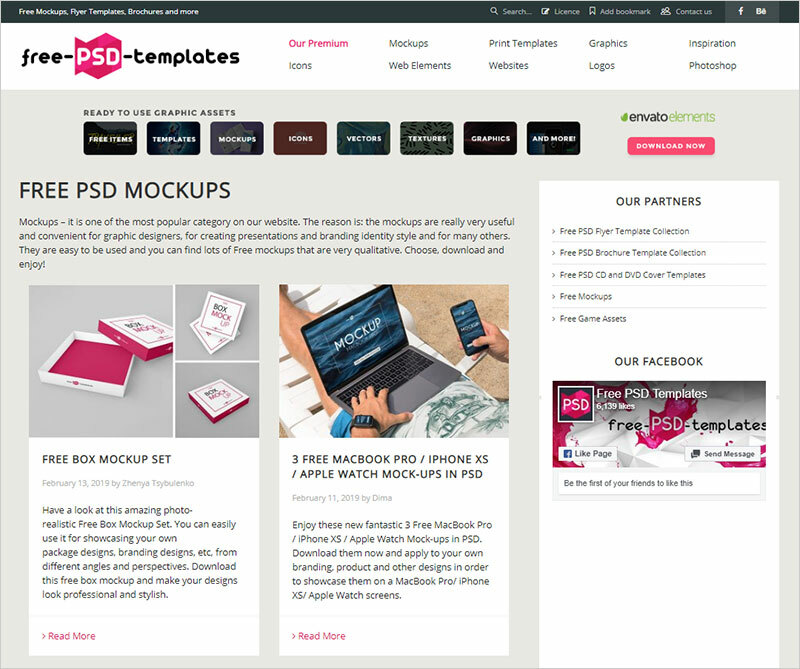 Free psd templates website is another good resource to search out for a wide range of mockup files. They have good quality mockups as well as print templates. They are updating website regularly by either creating new PSD templates or sharing design round-ups collecting from different websites. 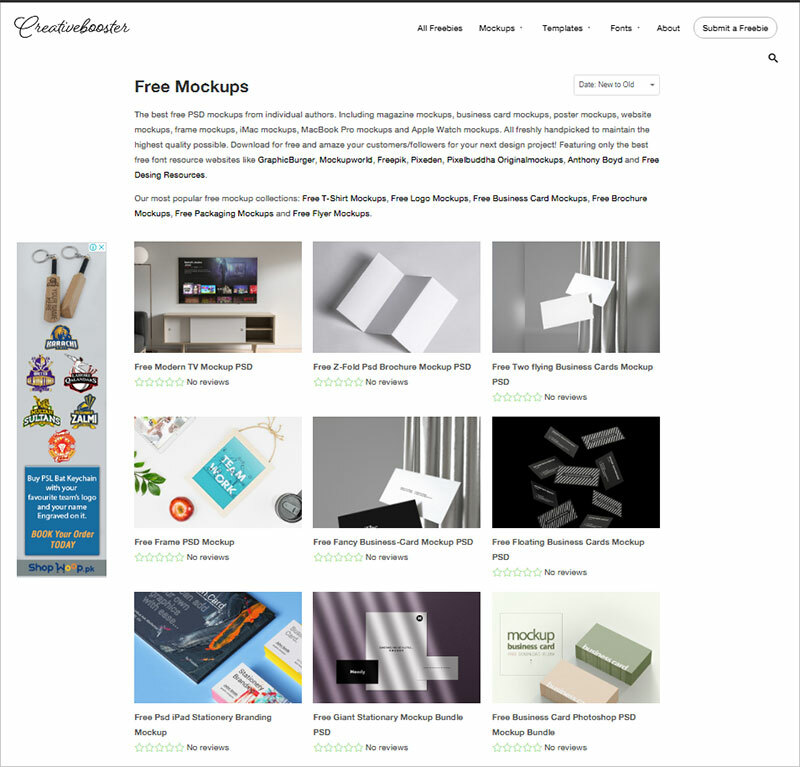 Mockupfree is another good resource if you are looking for free mockup psds. They create their own mockups as well as share mockups from other websites. 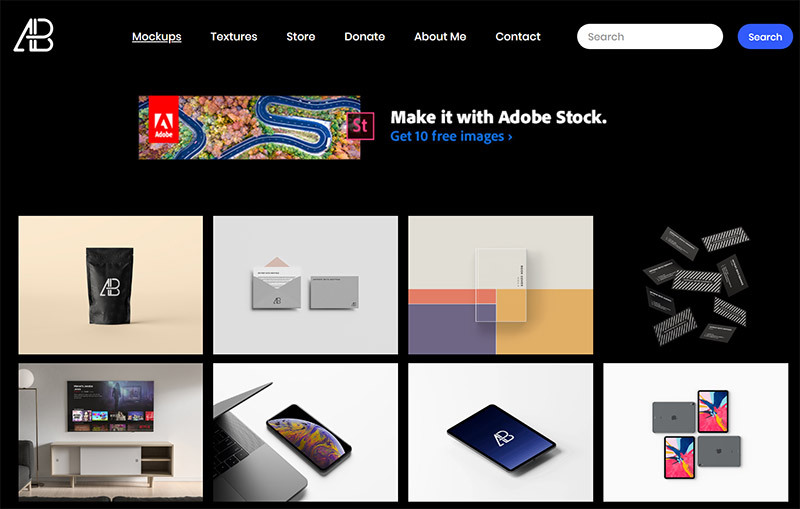 Definitely going to be a huge resourceful website in future as they are updating the website quite regularly and they have covered a great range of psd mockups from famous websites. Bookmark to check out for future mockups. 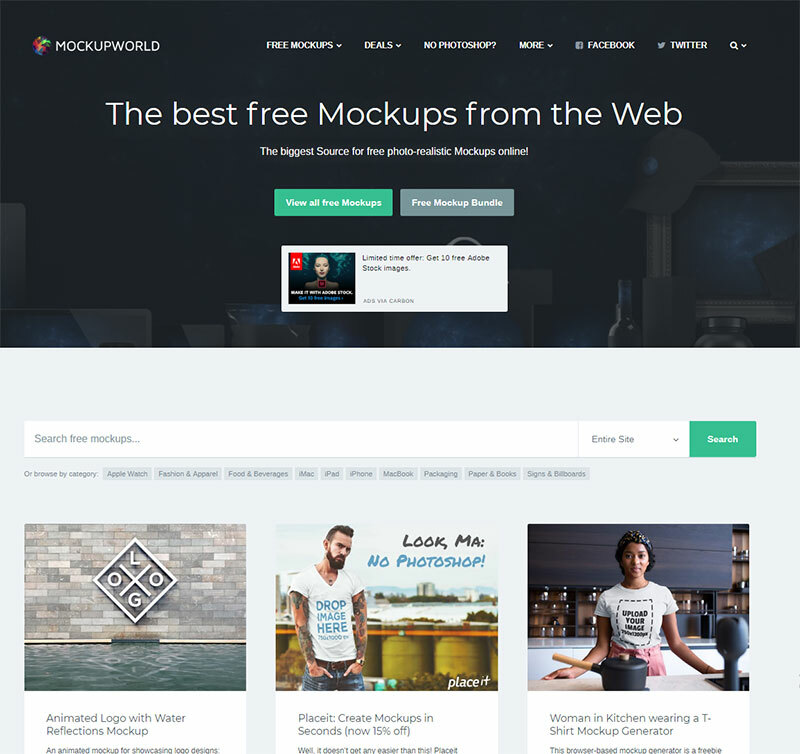 Who does not know Mockupworld. One of the most famous website when it comes to free mockups. It is mostly updated on weekly bases. They have a great range of mockups. If you can’t find mockups from other website then you can try them out as they have been updating content lately. Mr mockup a unique name and a very unique work. Their mockups are very good quality as we have downloaded them several times and worked on them. They are making mockups with good techniques as well as clean psd for easy access to smart objects. We would definitely recommend you to try them out. Pixel buddha another unique name on our list of free mockup websites roundup. Create stunning mockups with their freebies. Most of the time artists from premium websites submit their artworks to get exposure. 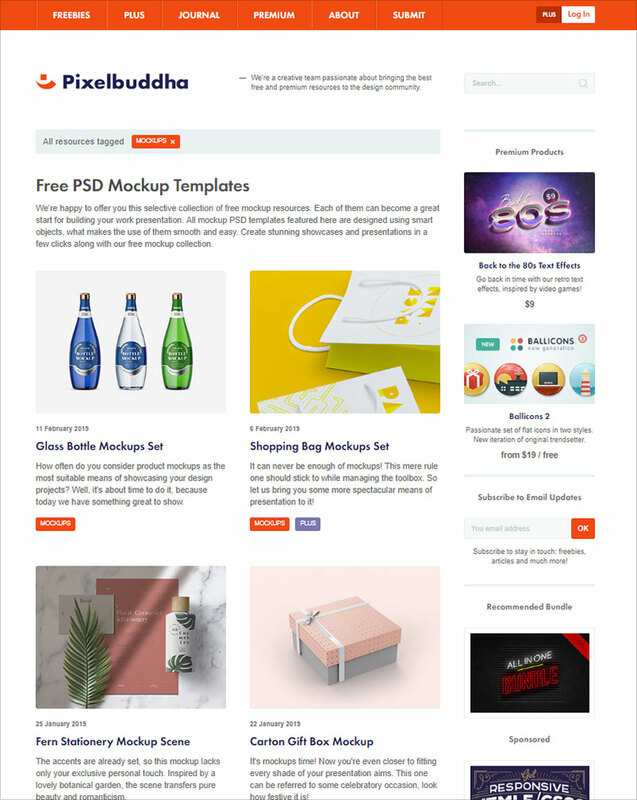 If you are mockup designer looking to submit your file then Pixel buddha will be your first choice. 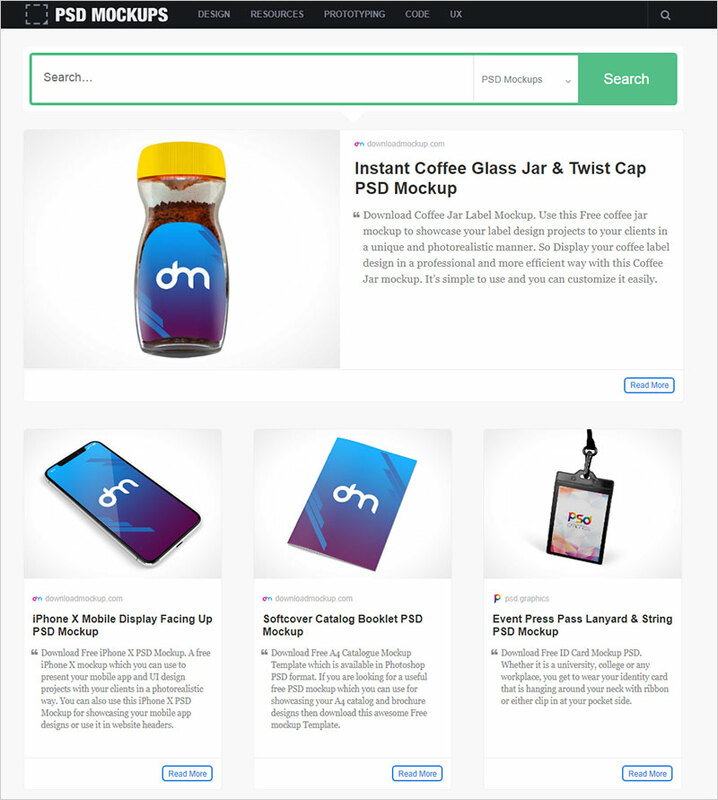 FDR (free design resources) has a vast variety of print, apparel, packaging, screen, app and logo mockups. 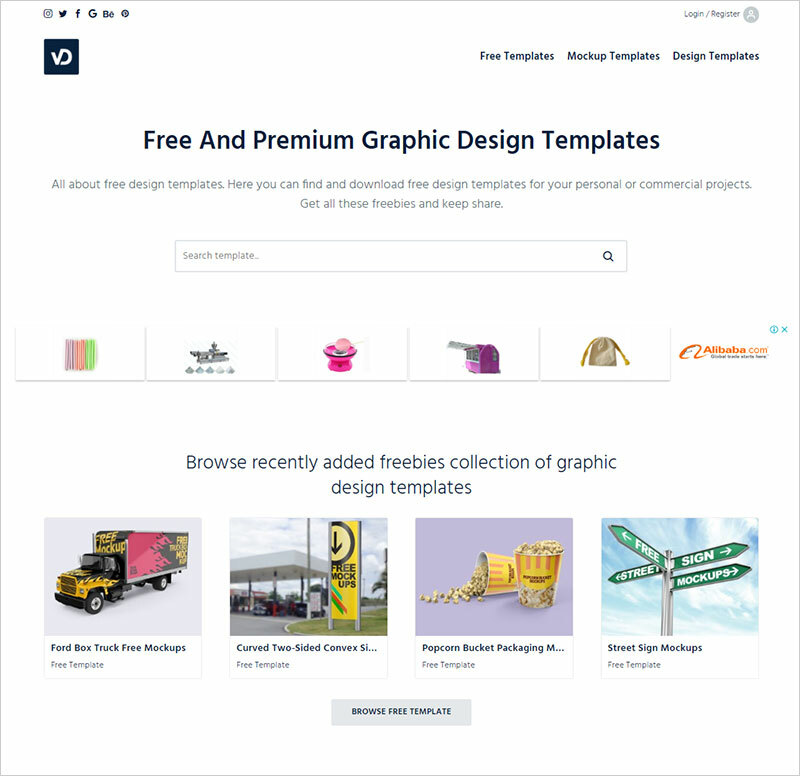 You can submit freebies ranging from fonts, design templates and web graphics. 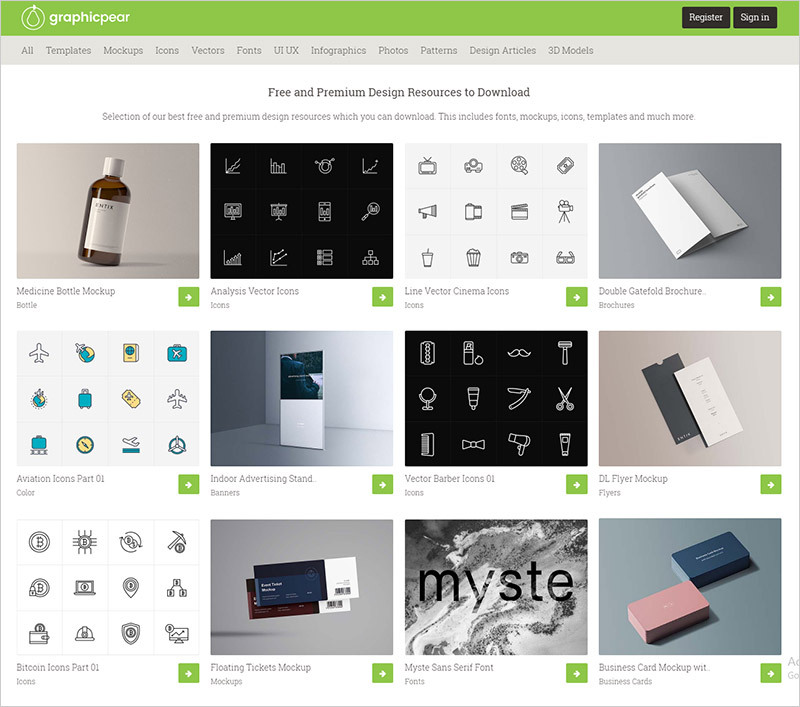 On our today’s list Graphicsfuel is another fine quality freebie website. They do have some really unique mockups free to use for commercial projects. You can choose their premium membership to access all graphic files. A very new website in the mockup market purely based on free mockups. There name is extremely unusual when it comes to design world. Anyway, they are the perfect example that domain name does not really matter. Nowadays, quality with quantity matters and they are following the same route. Country4k has become famous in recent months and share mockups regularly on their website. They create mockups as well as share resources from other websites. 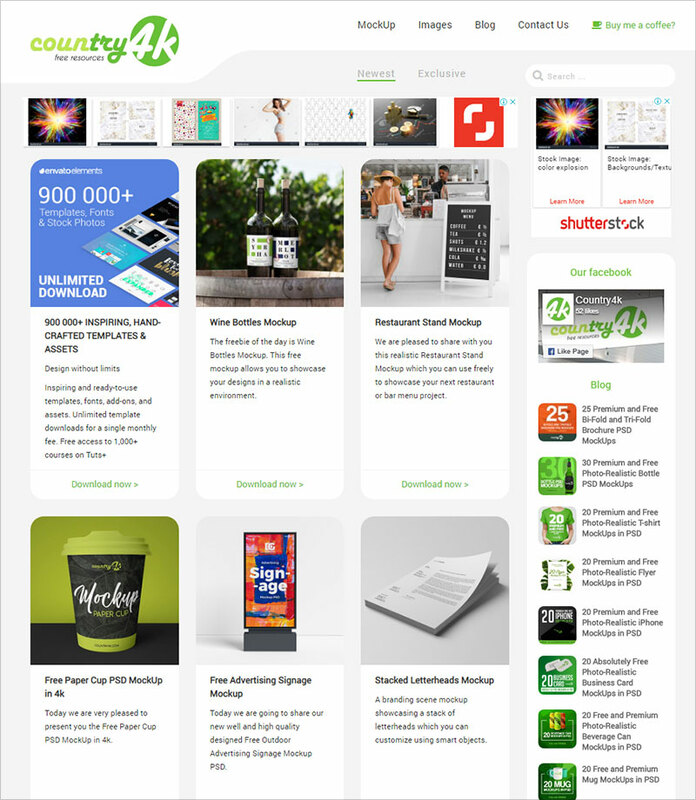 A perfectly named website named PSD mockups with extensive range of good quality mockups. They have a vast range that cannot be compared with any other mockup website. If you have not found what you are looking for then give them a definite try. No, it is not from the Google but they surely have some worth on Google. 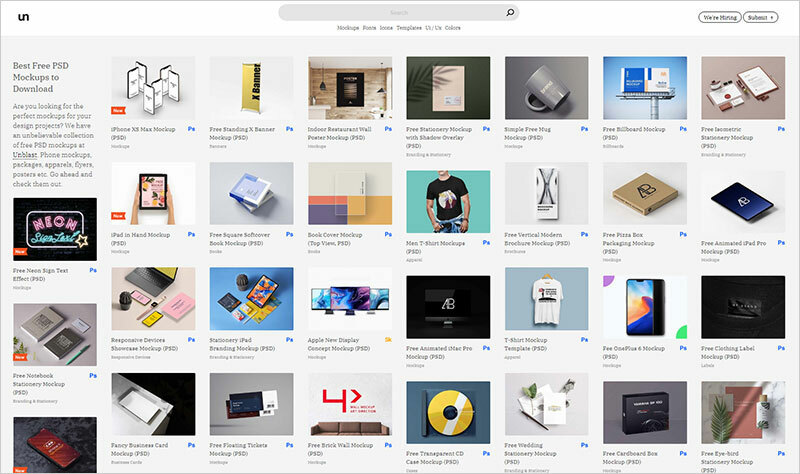 Graphicgoogle is providing a good quality freebies for designers and they are floating in the market for a while now. So, mentioning them in our list was a good choice. You can try them out and search your query on website with different keywords and surely you will find what you are looking for. Another free and premium graphic files website focused mainly on free mockups. There quality is supreme as we have been using their mockups for a while now. They are providing best quality mockups continuously in the market and designers are enjoying the free resource. A relatively new website but not the name. 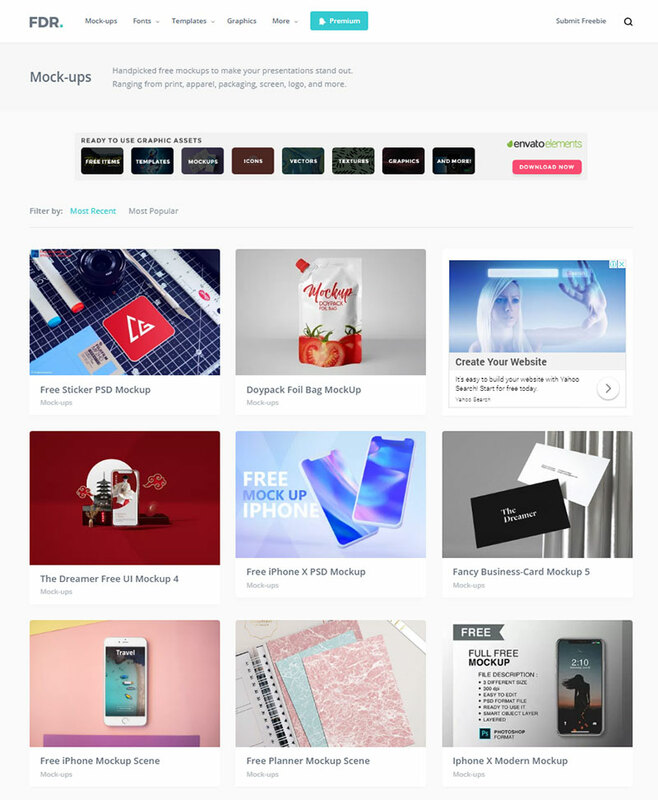 Free mockup zone is another good website from the same author working on Graphic Google. Free mockup zone covers a great range of mockup files from outdoor advertising to branding. 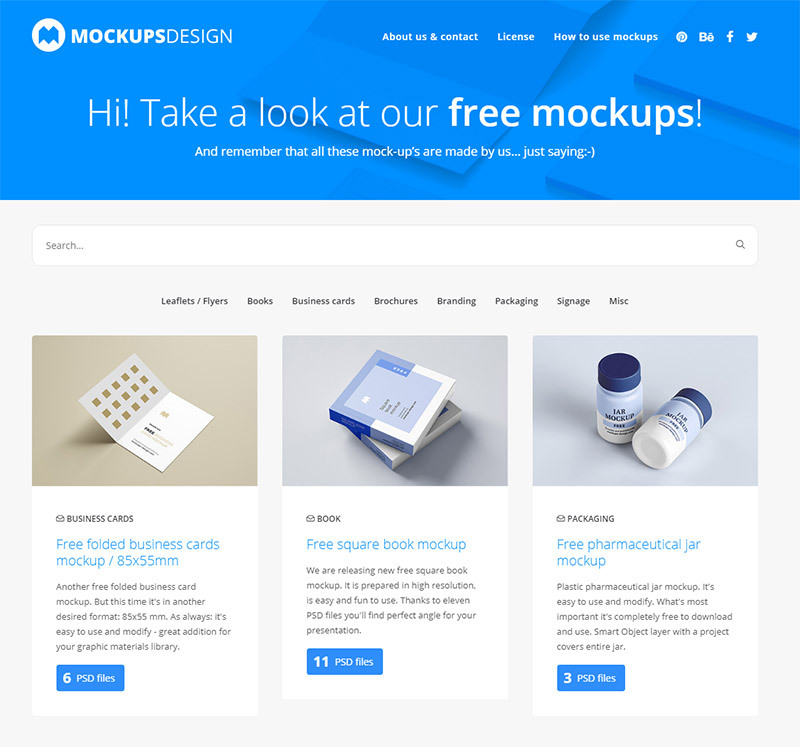 You can check all mockups from the category “All Free Mockups”. Another famous website that took over the design world like termite. 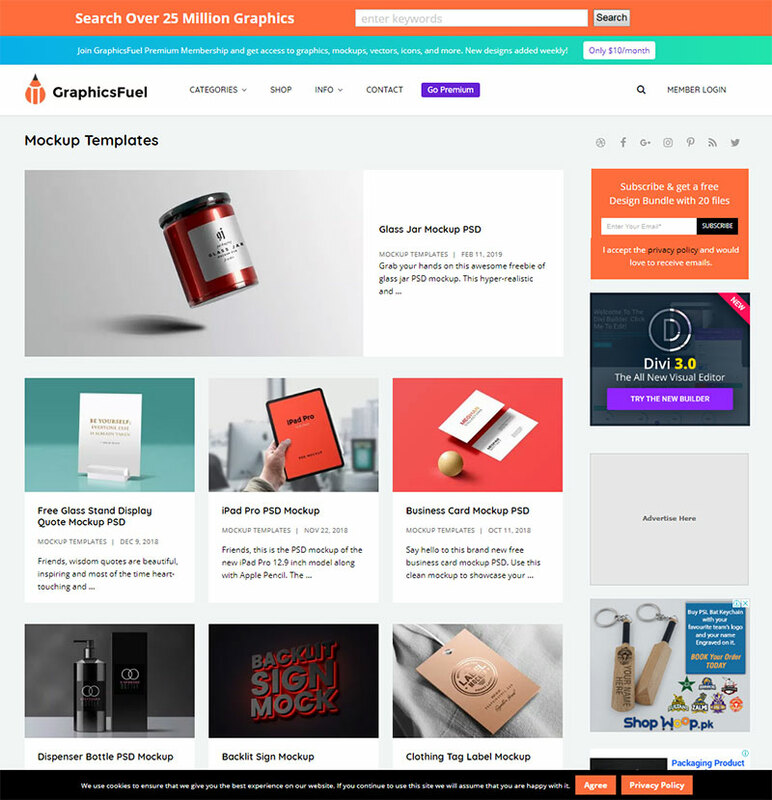 Search for any design template or mockup and you will get several options to choose from. They have thousands of freebies and vectors on website and they are uploading and updating fresh content on daily bases. PSD.Graphics has a good range of mockups. They are old in the market but fresh in approach. Designer of PSD.Graphics is working hard and consistently to provide new mockups from time to time. 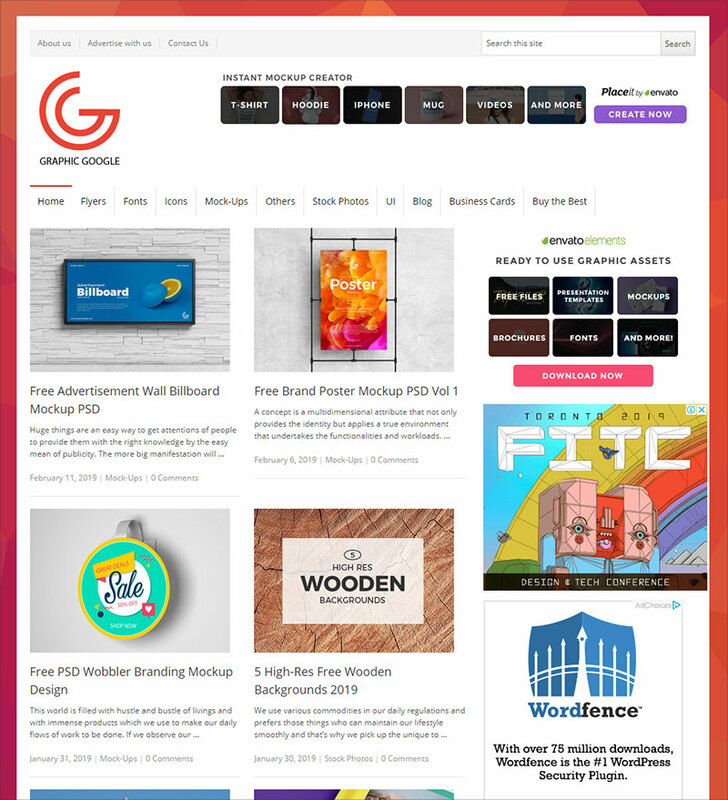 If you are looking for psd mockups, business card mockups, poster mockups, website mockups and Apple device mockups then you should choose creativebooster. They share handpicked PSD mockup files and maintain the highest quality possible on website. 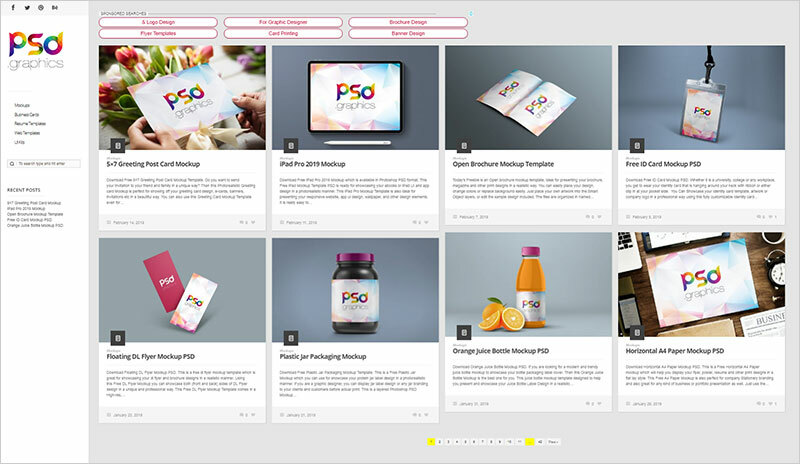 You will find mockups on creative booster from the top design websites.